I have a confession – I am an absolute control freak. It is something that has been ingrained in my personality since I was young. I have always needed to have a specific plan, to be completely organised and make sure everything I am involved in is structured. 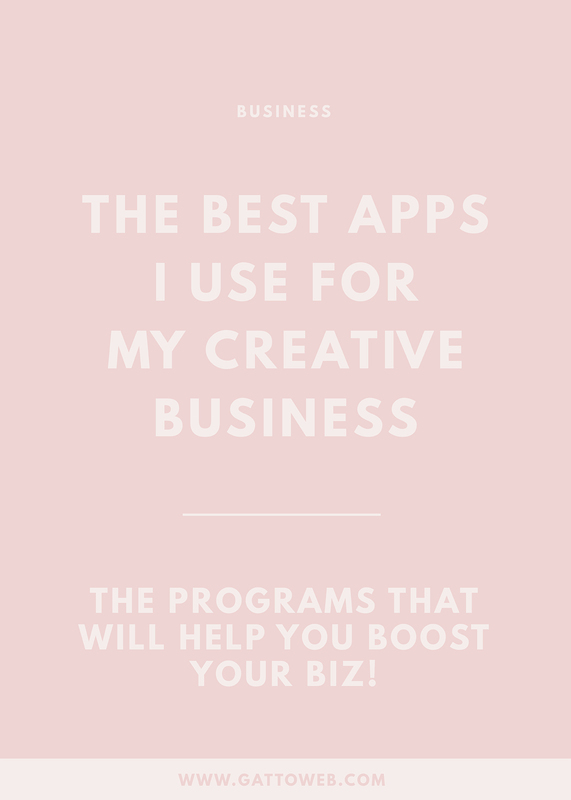 I want to share with you some of my favourite apps which I could not live without when it comes to running my creative business (I even have three out of the five open right now) and hopefully you will find something that can help you too! If you have not heard of Dubsado yet, I will insert a disclaimer here – it WILL change your life. I don’t know how I coped with everything before I discovered Dubsado as it has so many features and functions that is amazing to me that they were all separated before. Dubsado is a client management system which arranges your jobs, invoices, contracts, finances and forms. Dubsado was created by creative business owners totally with other creative business owners in mind. The features have been thoroughly thought out and planned in great detail to make sure it works perfectly for you. As well as this, they are constantly updating and improving the system which means it’s not far away from being the perfect client management system. Favourite Feature: You can create your own workflows which automate every part of your design process from sending a proposal to receiving payment. When it comes to project management tools, Asana is my go to. The interface is clean and easy to use, I can set up as many to do lists as I like and best of all I can colour code my projects (who doesn’t love a colour coded system). I use Asana to plan my blog content, my newsletter, my client projects and any additional design tasks. Each section is separated into projects which means I can keep all of my tasks organised but there is also a main dashboard where you have an overview of your to-do’s. Favourite Feature: When you complete a task, a little unicorn celebrates with you across the screen! Not the most practical of features but definitely gives your day a little boost. My email marketing provider of choice is Mailchimp which is a great starting point for anyone hoping to build a mailing list. It is free for anyone with less than 2000 subscribers and the features are excellent for marketing your business and sending content to your tribe. It is a good starting point for anyone looking to build an email following and you can design a nice looking and functional newsletter using their template feature. As well as this, their reporting is fantastic and gives you all sort of stats on subscribers, opens and clicks (I’m a sucker for stats). Let me be the first to say that if I could not schedule my social media, I most likely would not be on social media. I find it incredible helpful and time-saving to schedule posts ahead of time and most of the time I keep myself scheduled two weeks in advance to save hassle and panic posting. Planoly is my scheduling tool of choice for my social platform of choice, Instagram. Planoly not only allows you to schedule your content from your phone and your desktop but also has great features for you to look at your engagement stats and reply to comments. There are also higher plans which would be great for a larger team but for now the Solo plan is perfect for little old me! Favourite Feature: When you are typing your hashtags, Planoly gives you the size of the hashtag so you can have a variety of large and small followings. If This Then That, shortened to IFTTT, is the perfect tool for automating most of your online activity which can save you so much time. It works by connecting all of your accounts from email to social media to websites and you then add little ‘Applets’ to connect them all. I mainly use IFTTT to automate my social accounts to cross post my content between each other, for example, my Instagram posts automatically post onto Twitter, my blog posts automatically post on my Facebook page and my updates are automatically added to relevant boards on Pinterest. There are literally thousands of Applets to automate your business activity and it takes mere minutes to set up. Favourite Feature: Automatically sharing my blog posts to social media means that I can schedule everything ahead of time and not worry about checking back to share. I hope I have helped you find a new tool to help with your creative business or at least helped discover a new feature. Let me know your favourite apps to run your business!